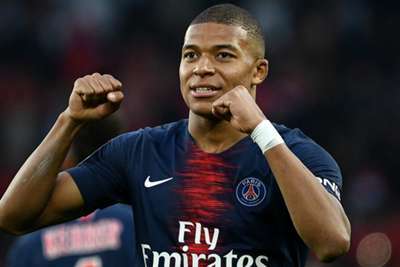 Paris Saint-Germain star Kylian Mbappe is on track to match the levels of Lionel Messi and Cristiano Ronaldo, according to Ludovic Giuly. Mbappe has established himself as one of the world's finest young players for Monaco and PSG over the last two seasons. A Ligue 1 champion with both clubs, the 19-year-old won a clean sweep of domestic honours at Parc des Princes last term before lifting the World Cup with France, scoring in the 4-2 final win over Croatia in Moscow. And Giuly, who won titles with PSG and Monaco either side of a successful spell with Barcelona, thinks Mbappe is on the way to becoming a leading figure in world football. "We admire his progress, what he is doing. If he wants to become like Ronaldo or Messi... he's on the right track," Giuly told Omnisport, speaking as part of the Nissan UEFA Champions League trophy tour in Paris. "You have to be consistent. That's what he does. He has to win titles. That's what he does. So, it's up to him to protect himself well and be careful [with] what happens around him." His form has seen him backed as one of the favourites to end Messi and Ronaldo's 10-year dominance of the Ballon d'Or, and Giuly certainly thinks he will get his hands on the prize at some stage in his career. "There are a lot of players on the list. We would like to see a French player [win it], whether it's him, whether it's [Antoine] Griezmann... They have the merit of being in the race to win it. "He is 19 years old, so he has the time to improve. So, if he doesn't win it this year, he may win it next year or in two years. That is all we wish [for] him. It's complicated to win this award right now. But he could win it with what he's doing today. He's on the list." Mbappe has formed a devastating attacking partnership with Neymar, but Giuly insists the goalscoring threat of Edinson Cavani should not be forgotten. "It's three players, because there's also Cavani. It's a trio," he added, with PSG set to face Cavani's former club Napoli on Wednesday. "Mbappe, Neymar are players who like to play. It is important that they get along well for the group and for themselves, because it can be annoying otherwise. "They have quality. There is one technical and fast player and the other one who goes at 2000km an hour and who is good with his feet. It's a good duo. It's good for PSG if there is a good atmosphere in the team. But let's not forget Cavani."